Unfortunately, Florida is not known for being especially pedestrian-friendly or bicycle-friendly. Despite the wonderful weather, many people choose to get around by car rather than by foot or bicycle and this has resulted in many pedestrian and bicycle accidents in Hollywood and across the state. Florida laws, however, have been passed to make the streets safer for everyone. For example, the law requires motorists to stay at least three feet away from bicyclists. They are also supposed to treat bicycles like other cars on the roads, giving them their own lane in areas where a separate bike lane is not provided. 1) Always wear a helmet. 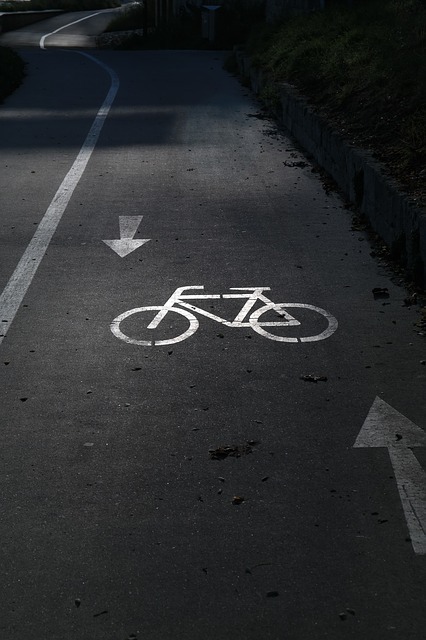 For bicyclists in Hollywood, brain injuries are one of the leading causes of bicycle-accident fatalities. Wearing a helmet can greatly improve your chances of surviving a crash. It is important to wear one each time you hop on your bike, even if you are just going a short distance. Buy a quality, well-fitted helmet and wear is properly each time. Browse until you find a helmet you like. If you don’t like the look of traditional helmets, there are now invisible helmets that fit around the neck. 2) Stay visible. Motorists may not be looking for bikes and may not notice you, so do all you can to make yourself seen. That may include wearing highly-visible clothing, especially at night or in bad weather. You can also make your bicycle more visible with lights and reflectors. Even with all these precautions, though, make eye contact with the motorists sharing the road with you – often, it is the best way to ensure that a motorist has really seen you. 3) Don’t assume that motorists will do the right thing. Everyone on the road is expected to follow the law, but not everyone does. Unfortunately, many drivers follow too closely behind bikes, run red lights, and take other risks. When you are on your bike, you are more vulnerable, so it is even more important to drive defensively and to consider the movements and actions of the drivers around you. Have you been injured in a traffic crash anywhere in South Florida? Flaxman Law Group is a local full-service law firm and we would like to be of assistance. If you are injured, you can contact us at any time to review your options with one of our attorneys in a free consultation.